The Hummingbird Project is a fictional movie about two cousins, Vincent (Jesse Eisenberg) and Atone (Alexander Skarsgard) who shake the financial frenzy thriller in the stock market world. Their goal is to reshape the global market of high frequency trading. Vincent, the fast-talking hustler and Atone, the fast typing coder attempt to reshape the global market of high frequency trading by installing more of 1,500-kilometer fiber-optic cable from Kansas to New Jersey. They know this could transport a high volume of digital data in millisecond, faster than the New York Stock Market competitions. But it must be in straight line and no option of going around the demographic areas of the it otherwise the process will become slow. The cousin's scheme would enable the edge on the competition that could make millions for them and their investor. Everything is going well until the old boss, (Salma Hayek) finds out about their departure and tries to convince Atone to stay with the company. Of course, he chose to resign and she decided to get even with both cousins. Nothing seemed to go just right for them but as movie continues the audience will see a shift in the atmosphere of the movie. This film served as great entertainment with its surprising twists. Kim Nguyen used actors/actresses that possessed strong characters in their perspective roles. 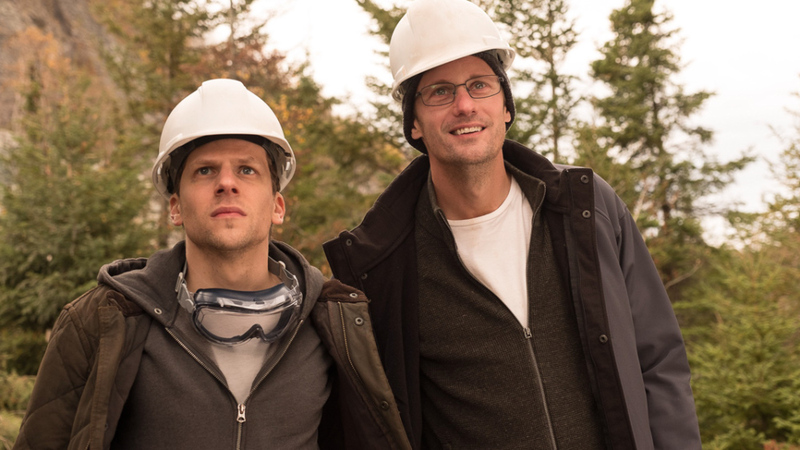 Jesse Eisenberg fit the role perfectly as he elicits ambition, excitement and determination in this movie. Selma Hayek demonstrated she can be pretty, forceful, ruthless and determined and will not let anything or anyone stand in her way of controlling her domains on Wall Street. Although, Alexander Skarsgård character yielded some strong hidden acting skill he was very impressive. The main idea about this movie is that life is filled with unknown surprises. This was illustrated by Vincent himself. He was just a young brilliant guy full of money-making ideas but soon learned a powerful lesson in family values and that money is not everything. This movie is worth seeing. I give this movie a 6 out of 10.